"Davis Hall Follies 2015" powerfully balanced humor, talent and emotion, showcasing an event difficult to compete with. “Davis Hall Follies 2015” showed off new faces, experienced performers and comedic alumni hosts, Daniel “Chunk Hildebrandt and Liz Adams. Both dressed as Norm the Forester, Hildebrandt and Adams bridged the performances with skits that felt like acts all on their own. 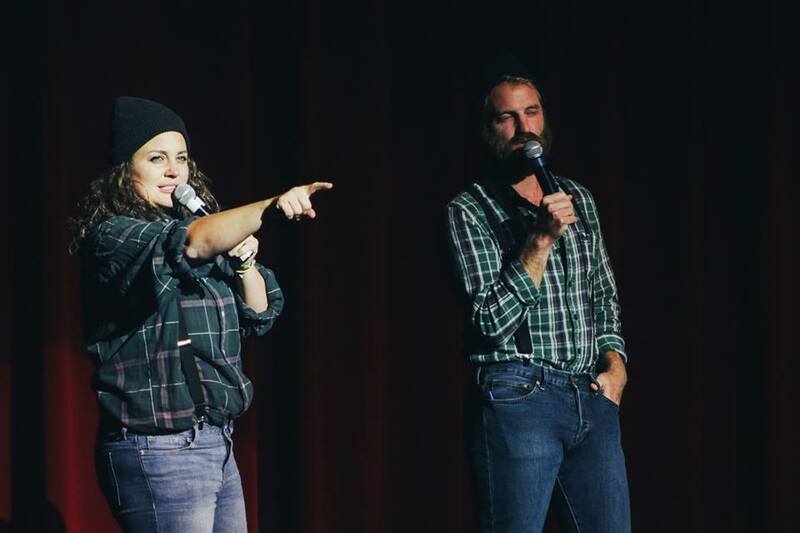 Keeping up with the university’s current topics, the dynamic duo made sure to throw in Sodexo and DC burns to keep the crowd roaring with laughter and begging for more. And the hosts did not hold back, shouting out to the baseball field and prayer rooms — better known as popular couple hot spots. The duo delivered through thick and thin, creating a show that felt similar to Saturday Night Live. The top three acts this year was a surprise as two of the three were new faces on Huntington’s campus. Receiving third place this year, junior Christiana Hicks (and friends) covered John Legend’s and Common’s song, “Glory” (2014). Her performance moved the hearts of audience members as it touched on racial equality and the coming together of all races for justice. And as Arthur Wilson, campus pastor, emerged from behind the curtains and surprised the audience with a rap, a line of Huntington students and professors lined the stage behind the performers, representing a unified community of race, gender and age. 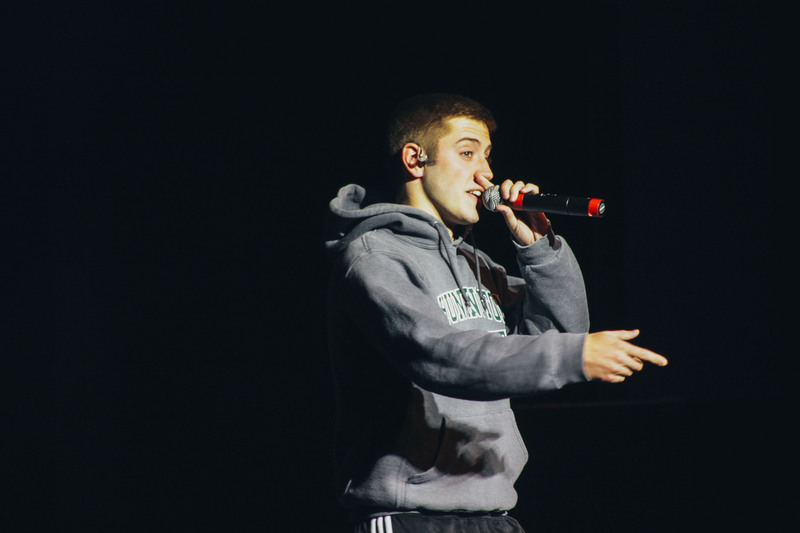 In second place, freshman Jordan Hersey’s rap about breaking barriers and stereotypes grabbed the audience’s attention. With lines such as “I’m tall white and goofy … I’m not your stereotypical rapper,” Hersey broke expectations and made his name known among university students. Delivering each line with emotion and dedication, Hersey left me with a feeling of pride and admiration. As I sat there taking in his inspirational words, I felt as if I were on “The Voice” — I wanted so bad to hit my button as a sign of approval, “I want you on my team!” However, my cheers and applause had to make due. 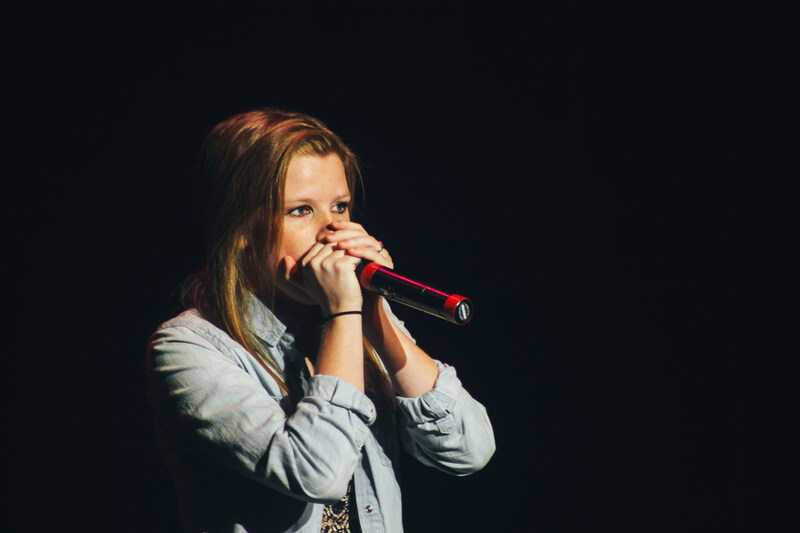 Beat boxing her way to first place, freshman Sarah Fiechter stole the show with remixed renditions of the “Super Mario” theme, “Star Wars” soundtrack and Walt Disney classics. 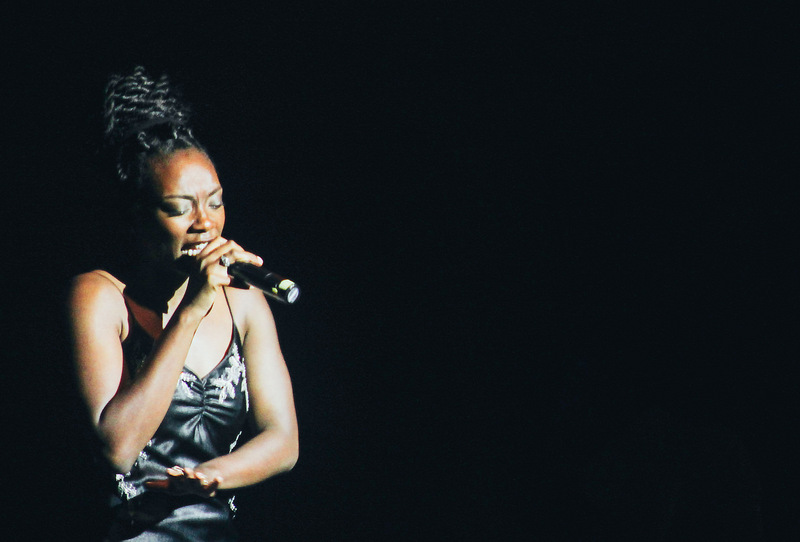 Fiechter — a member of the university’s upcoming, all-female acapella group, Fermata NoWhere — represented well as she proved her worth to the audience. The auditorium quaked with applause at the announcement of her win. For her encore performance, Fiechter dedicated a freestyle beat box to Hardy third. The show was well planned out and covered an ideal balance of humor and emotion. The messages portrayed throughout the show seemed to pull our campus together as a Christian community. Through messages on racial equality and breaking stereotypes, students and staff all had something to agree on — love. I was especially impressed with junior Stratton Harrison’s juggling and comedy act, juniors Larkayla Mosely and Abby Kauffman’s original rap about campus couples and junior Eric Baker’s performance of one of his original songs. The performers demonstrated true talent during this annual homecoming festivity, making me proud to be a Forester. I do, however, feel bad for the acts next year. They have a tough show to compete with. Thanks for the recap! Just wanted to note that Daniel’s (“Chunk”) last name is Hildebrandt, not Hildebrandy. Thank you for the note, Katie. The corrections have been made.